If you are like the general public, you would believe that chiropractic is a natural treatment for back pain or neck pain or headaches or some other common condition. Here’s something that may shock you… chiropractic, when used properly, has nothing to do with backaches and it has nothing to with any other condition. 1. Chiropractic is more than you think it is. 2. People get well from various medical conditions under chiropractic care and going to a chiropractor will help you recover from those problems. 3. If someone is using chiropractic for back pain alone, they are wasting 98% of its real value. Chiropractic deals with human performance. Every level of human performance is controlled by body chemistry. Think about it… you cannot get up in the morning and run for a bus without first changing your body chemistry. The body pumps adrenaline into your bloodstream to enable you to increase performance. It takes chemicals to fall asleep at night and if your body is not producing a sufficient quantity of those chemicals all the time you will suffer from periodic insomnia. If someone takes a chemical into their body such as coffee, they can upset their chemical balance and have the same result (insomnia). People take chemicals to go to sleep and then have a difficult time waking up because the body is not producing a sufficient quantity to overcome the disturbance to its chemistry. There are hundreds of different carcinogens,cancer-producing chemicals and drugs in the food we eat, the air we breathe and the water we drink. How do we manage to survive? We survive by making the right chemicals. We make chemicals from the foods we eat. While food is important, it is the chemicals our body makes (stomach acid, enzymes and bile for example) that determines whether our foods have any nutritional value for us. It’s been said “you are what you eat” but that’s not really true. You are what your body is able to extract from what you eat. Take the example of hay fever. Some people believe that ragweed pollen can cause hay fever. When the pollen is in the air the body responds by making the chemical histamine. If there is too much histamine, hay fever symptoms will occur. But, if ragweed pollen caused hay fever, then we’d all have hay fever. How Do Body Chemistry and Human Performance Become Disrupted? How does chiropractic relate to our body chemistry? There are billions of cells in the body and every one of them are little chemical factories. They have to be controlled by a master control system. That system is the nervous system and that system is protected by the skull and spinal bones. How do the cells, glands and organs that produce chemicals know that a particular chemical is needed in a distant part of the body? All parts of the body are constantly feeding information concerning their status and their needs to the brain and the brain, in turn, is sending out messages to the chemical factories to respond to the body’s needs. When the body has more stress than it is able to adapt to… physical injury, overuse or fatigue; chemical insults like pollution, toxins, drugs, a poor diet; or emotional stress like anxiety, depression, loss of loved ones, overwork, or emotional trauma, the nervous system can become overwhelmed. The result is muscle contraction for fight or flight… but if the stresses are chronic then chronic muscle contractions can move the spinal bone. If misaligned enough, the position of the bone will cause irritation of the nerve. This is called a subluxation. The irritation of the spinal nerves disrupts communication to the organs and glands. This results in improper gland function and imbalanced body chemistry. Small changes in body chemistry can disrupt our ability to adjust to changes in our environment. We may be unable to get the maximum benefit from the food we eat. If your body chemistry is not working as it should, all the good food in the world will not help you. Hormonal cycles may become unbalanced. Sleep can become disturbed. There may be small changes in strength, coordination, balance, reaction time, or any other area of performance. Imbalanced body chemistry decreases human performance. When a chiropractic adjustment is given the proper position of the spinal bone is restored. This removes the interference to the nerve. When nerve control is restored normal gland function returns. Proper gland production balances body chemistry with increases human performance. So, chiropractic is not necessarily about helping stiff necks and mending sore backs. A chiropractic adjustment may not make your symptoms go away but it is not meant to. An adjustment opens up the life channels of your body and improves your overall life and it does that every time in every body. In other words, chiropractic is not about your pains or your conditions and diseases, it is about your life. How Often Should a Person See Their Chiropractor? What about the damage done to the body when there are subluxations that go uncorrected? The damage done to the body’s overall ability to be healthy is cumulative. If you get adjusted the day after you are subluxated that is not too bad, a month later, that is not too good, thirty years later some of the damage may be permanent. For the maximum benefits of chiropractic care, begin as early in life as you possibly can and do it for a lifetime. If you are new to chiropractic you have probably wondered why there are so many children in your chiropractor’s office… now you know. The younger you begin and the more frequently you see your chiropractor the better your health and performance will be. On your next visit ask your chiropractor how often he or she is checked by their own chiropractor… you’ll be surprised to find that they seldom go longer than 7 days without a chiropractic checkup. According to a recent article published by 2ndCousin Media in their Doctors Resource Center, Gluten Free diets are on the rise and there are some simple guidelines for proper gluten free baking. My apologizes for incorrectly stating that the list of recommendations listed here previously came from author Jeanne Sauvage. I was informed that the list was not from her and that she would not even recommend many of the items. In the interest of giving the best advice possible we have removed that list. For many great ideas and recommendations for gluten free baking visit her site at www.artofglutenfreebaking.com. While the following grains are not gluten-free, barley, rye, and wheat relatives such as spelt, triticale, and kamut; next week we will provide the resources for types of base flours, thickeners and additives for texture and taste. 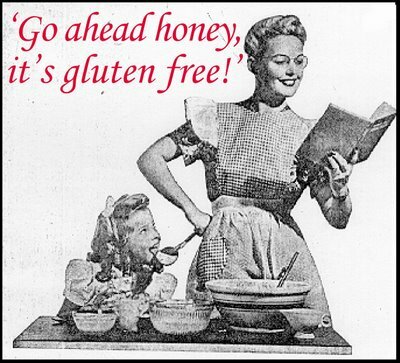 In today’s world, being gluten-free is becoming less of a chore and far more mainstream than ever before! Gluten intolerance in its most significant form is known as CELIAC disease. But, Celiacs aren’t the only ones who are grateful for the increasing prevalence and availability of gluten-free products. Athletes, in particular, have taken to the diet. Some claim to have more energy when they cut out gluten. So, whether you need to remove gluten from your diet or simply want a more healthful way to eat…it appears that a gluten free approach is a clear winner! Black beans pack the same antioxidant benefits as do cranberries. Their protein and fiber content help balance blood sugar and provide growing bodies with long-lasting energy. One cup of black beans supplies about 20% of your child’s daily iron needs. If you or your loved ones have allergies… Vitamin E has been shown to help! I treat many of my patient’s children. Heavy backpacks, sports, rough-housing, and slumped posture in front of the TV for hours on end can lead to frequent back problems in our little ones… just like it can for us adults. Yes, children getting adjusted is very beneficial and is the wave of the future. Since the spine controls the health, balance and functioning of the body, we find that one nice side-effect of childhood adjusting is that allergies are often reduced in a child! It still amazes me how often this happens. Well it has also been found that certain vitamins are helping to reduce allergies. One of the best allergy-fighters of all is… Vitamin E. While I am always quite skeptical when a company claims their pill is the latest cure-all, it is a recent study that has gotten my attention. This study on Vitamin E was conducted by the leading British Journal, The Lancet. When someone experiences allergy symptoms, their body releases an allergy-related antibody called IgE. 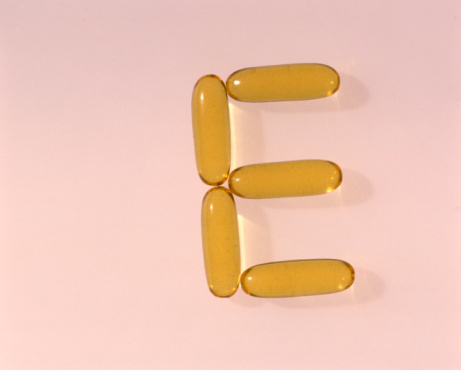 In this study, 2,000 people were given vitamin E and then their level of IgE was measured. What were the results? It was found that an increase in vitamin E resulted in a decrease of IgE. What was really interesting was that for each one-milligram of vitamin E taken, the amount of the allergy-related antibody declined by five percent! This means that there was a direct link between taking Vitamin E and a decrease in allergies. That’s great news, for many of my patients and their children who suffer with allergies. How to take positive action on this advice: I suggest a two part approach. First, if you or your child are suffering with allergy symptoms, you might find great benefit from getting a chiropractic adjustment for the reasons stated previously. Second, switch to a multivitamin that contains vitamin E and/or start taking a Vitamin E supplement daily. We believe chiropractic provides a powerful solution to overall health and wellness that doesn’t revolve around popping pills every day! We’ve seen patients lives transformed with our approach. We’re here to help make you the healthiest person you can be.